Magenta buds spiral open to varying tones of lilac & lavender. 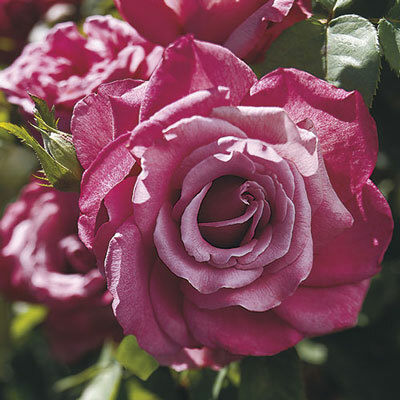 A wonderful cutting rose, Heirloom's sturdy stems bear flowers both singly and in clusters, clothed with glossy dark green leaves. Yet, it's that fragrance that has kept her in high regard. It's an allusive scent of apple, wine & ripe raspberries. Best flower size & most intense color in cool conditions.